Home›Fashion›The Latest from Basic B The Label + Pop Up Shop Happening TOMORROW! The Latest from Basic B The Label + Pop Up Shop Happening TOMORROW! Hey Babes! I don’t think I ever officially shared our newest collection from Basic B The Label over here on my blog (PS if you’re not following us… hold the phone and give us a follow!!!) and with a fun pop up shop happening TOMORROW at Goldfinch Boutique in St. Augustine, I thought I’d give y’all a little look at some of our newest arrivals before the weekend! Keep scrolling below to shop around! This is one of my favorites- our weekend tee comes in two different colors, a blush/rose color and a stone/taupe color! The quality of this shirt is great and what a perfect tee to look put together while out running weekend errands or out to breakfast with friends! 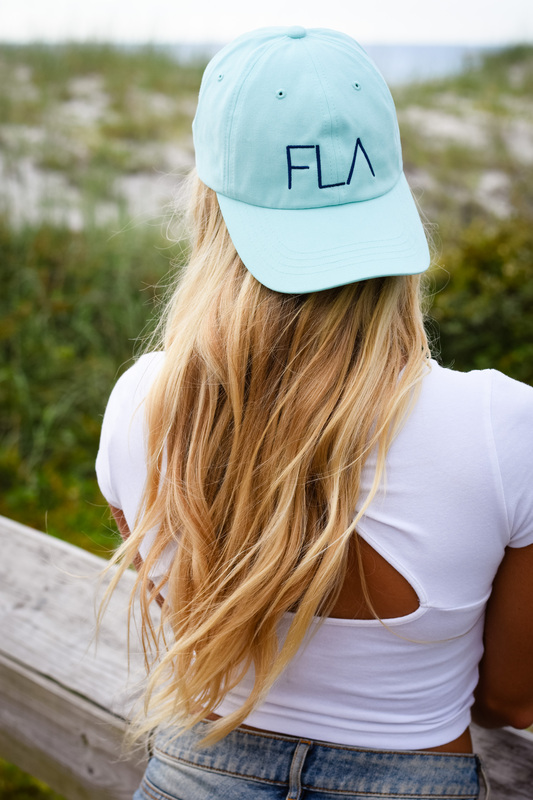 This tank is perfect for the Florida girl or the gal that just LOVES the beach. This tank is really easy to dress up with a little lacey bralette or throw it over your swimsuit after the beach! I’d say this one does run a bit big so size down if you’re in between sizes! 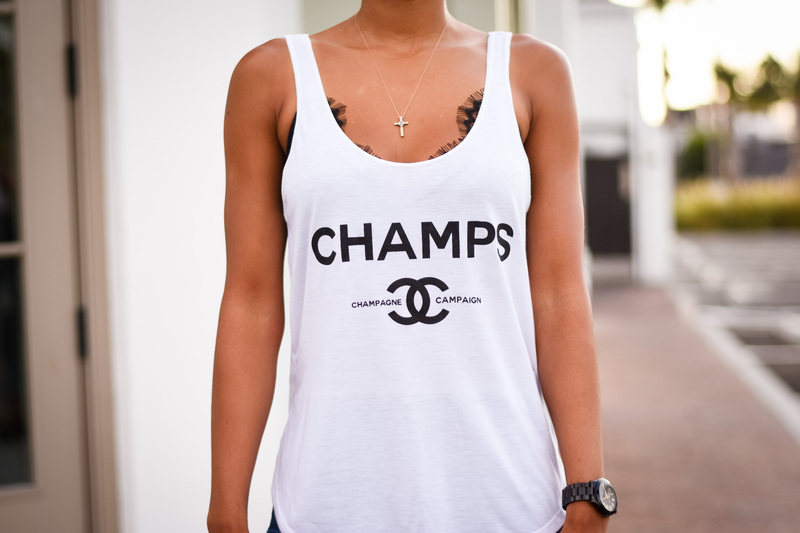 This tank top is soo fun! I would 100% wear this to brunch or happy hour or even a bachelorette party! This tank top is super soft, I love the slits on the side (makes for easy knotting if you want to wear it with a high waisted bottom) and looks adorable with a bralette too! Who doesn’t want to be part of the champagne campaign!? 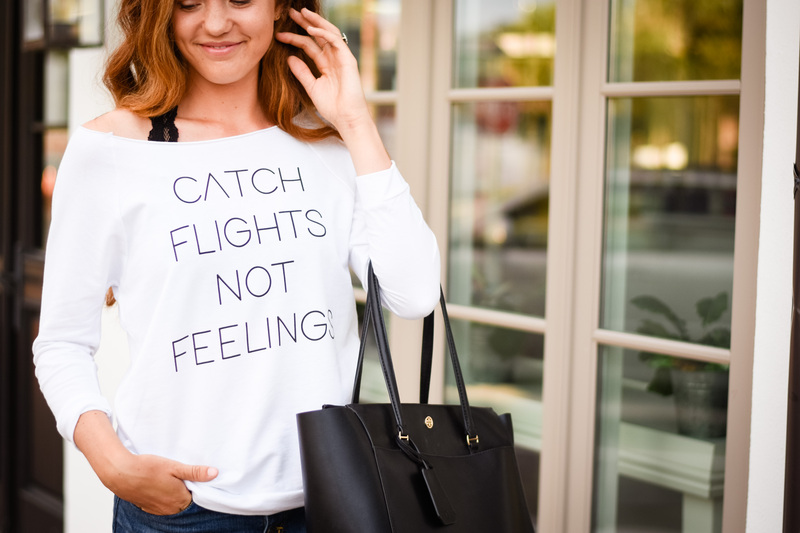 Ok so my vision for this light weight sweatshirt came from summer travels- I don’t want to bring a bulky sweater or cardigan on my flight to somewhere tropical or really anywhere during the summertime, but I personally get SO cold on planes and in airports. This light weight summer sweatshirt is perfect for travels- the off the shoulder style gives it a little extra sass and it’s super light weight! Size up if you’re in between styles! I meannnnnn do we really need an occasion to wear this one?!! I’m loving the colors in this tank and I mean rose is about the most basic thing a basic babe could drink so… it’s kind of like a must?! Size down on this cutie if you’re in between sizes too! 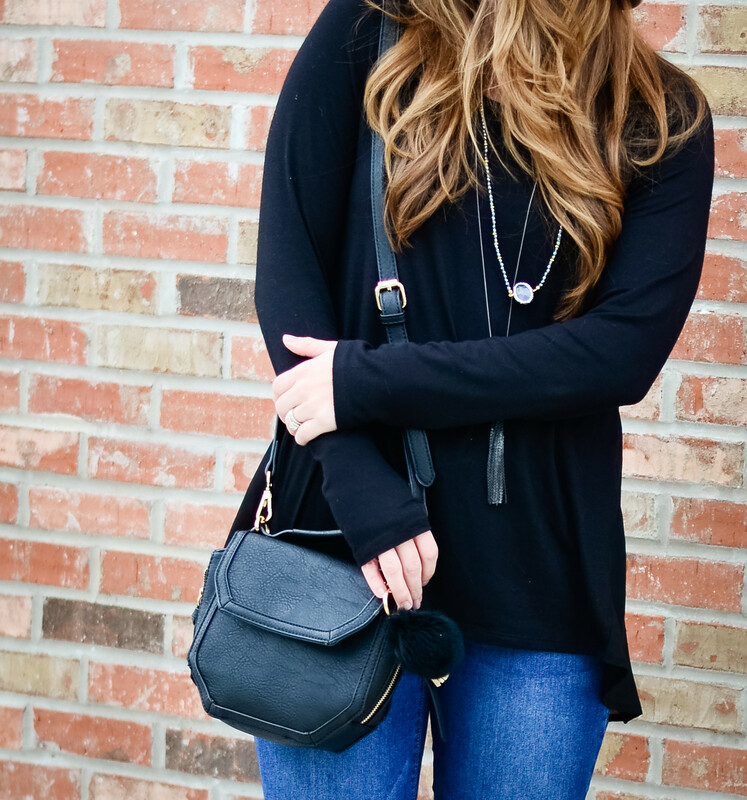 I Love the cut of this tank and I love how we styled it too! If I could fit in (anything) at the moment, I would 100% be wearing this every brunch day haha! Can’t wait for that first boozy brunch day after baby is here lol but really, this tank would look so cute on you and your gal pals! 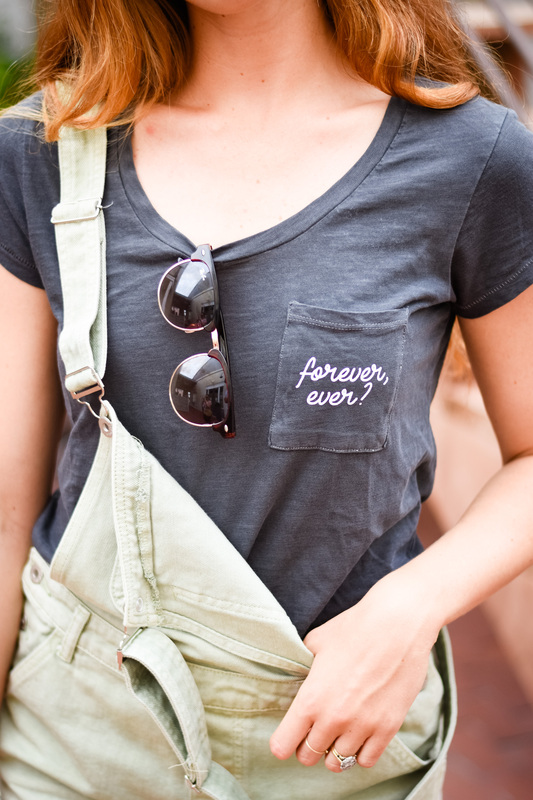 this tee is super super soft and I love the little pocket and the color is one of my go-to’s for sure! It’s a color that can go with any denim wash and other colors too like army green! And I haven’t forgotten about the rest of my Florida girls either!! Thanks so much for popping by the blog today! I hope to see some of y’all at Goldfinch Boutique in St. Augustine tomorrow!! It’ll be a good time!